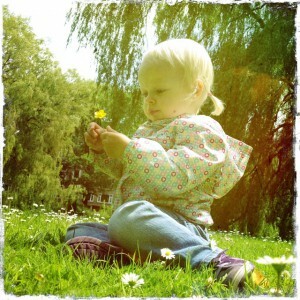 On August 09th 2010 a baby girl named Meike was born. She is a beautiful and happy girl but did suffer from having some stomach aches every now and then. The pediatrician could not find anything wrong with her though. Early August 2012 Meike and her parents go to the doctors again. He sends them straight to the childrens hospital, where a series of tests are done. A week later the final results came in. Meike was diagnosed with a neuroblastoma, an adrenal tumor which has metastasized to her shoulders and leg. It has been categorized as high-risk 4, meaning that treatment will be severe and chances of survival are low (40-50%). A day after this devastating news Meike was sent home so she could celebrate her 2nd birthday at home, with a lot of family and friends and plenty of gifts. On the 10th of August they started treatment with intensive chemotherapy, consisting out of seven rounds. Once Meike will finish these treatment series she will be able to go to Philadelphia, USA for immunotherapy. This additional treatment will increase her chances of survival with another 20%. In order to make this trip possible, financial recourses are needed to cover the costs of travelling and staying in America and to cover the fixed costs back in Holland. Thanks to the help of many of our friends and family we have raised this foundation. Together we want to offer all the support that Meike and her parents will need while they go through these intense and difficult times.With your support we can aid them financially when they will travel to America for treatment.